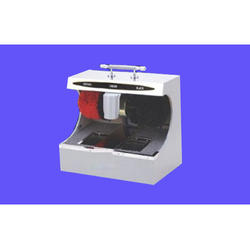 We are a leading Manufacturer of shoe shine machine with sole cleaner and shoe shine machine from Gurgaon, India. Being one of the reputed organizations in the market, we are engaged in providing an exclusive range of Shoe Shine Machine with Sole Cleaner. 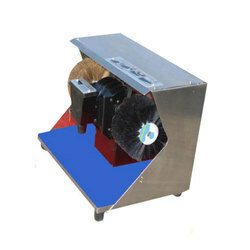 This machine is used for removing dirt and dust from the shoes. The provided machine is manufactured making use of superior grade components as well as latest techniques at our modern production unit. Our offered machine is highly acclaimed by our patrons due to its smooth functioning. In order to attain the maximum satisfaction of our esteemed clients, we are engaged in offering efficient Shoe Shine Machine. This machine is used for shoe polishing. Under the direction of skilful professionals, this machine is engineered using quality assured components with the help of contemporary techniques. We assure for the flawless nature, the provided machine is rigorously inspected against numerous practical parameters by our quality controllers.